Say it with me friends – WE DID IT! And it couldn’t have come on a better day… Monday, September 12 was a terribly hard day for everyone at NDFH. Sweet little Paige passed away at 6 months of age. I know from my time at NDFH that that you wonder if it’s all worth it when you lose a little one… it makes you question everything. So for them to get news that we reached the medical fund goal just a few hours after they got the terrible news about little Paige’s passing; well I know it is a reminder that though the way is hard, it is the right path. Please be praying for the staff of NDFH today; especially Andrea, the nanny who first did CPR on Paige. I still have the remaining two stories I lined up for this week, and I want to share them because they are simply too beautiful, too encouraging, and too amazing not to pass along. And, for these last two days of stories, I’m going to go ahead and leave that ChipIn box up there. Now, we have met our goal of $30,000 this summer, but I know there might be a few people out there who still want to contribute. Anything given from this point forward is simply above and beyond what we aimed to raise… one excess which is never a bad thing. Today, Khloe’s mama Tanya is sharing her daughter’s story. 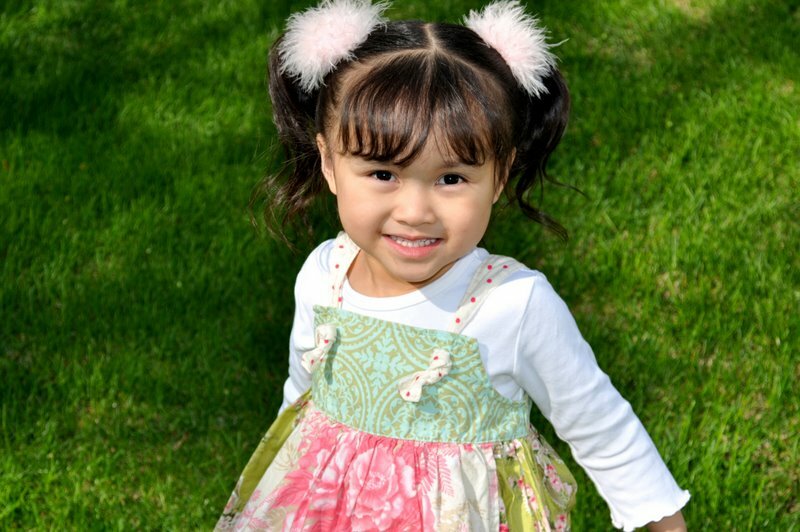 Our beautiful daughter, Khloe Mei, was born in Fujian Province on February 8, 2008. Just two days later, she was abandoned at the gate of the local orphanage, where they quickly discovered that she was born with an obvious special need and was diagnosed with bladder exstrophy, where her bladder was actually on the ‘outside’ of her body. Upon being found she was immediately taken to the local hospital for treatment. However, they were not equipped to handle her case, so she was transferred to a larger city. This hospital was also unable to do her surgery, so the orphanage made a request to New Day for help. On May 5, 2008, baby Khloe arrived in Beijing. Her case was still too complicated for the hospital in Beijing to handle, so arrangements were made for Khloe to receive treatments in Hong Kong four months later. Over the next few months, she was lovingly cared for by the amazing staff at New Day as she grew and gained strength for the surgery that was to come. 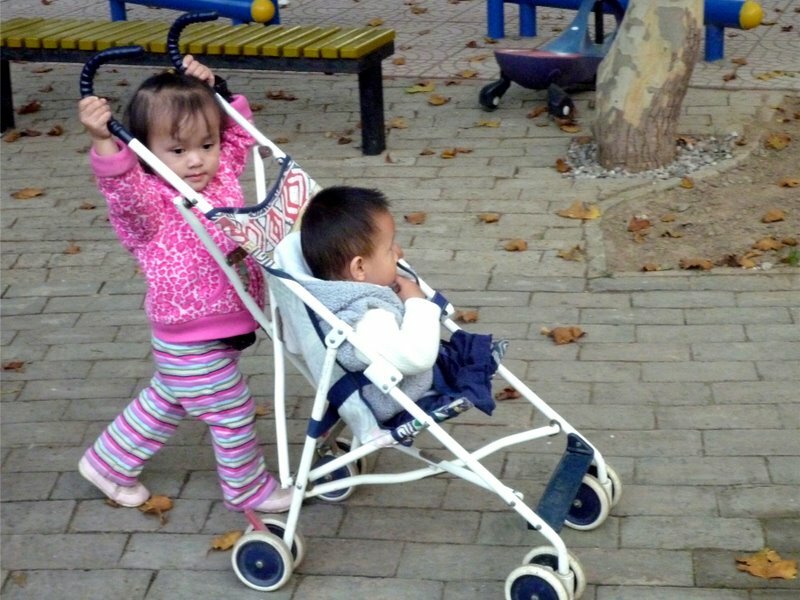 In the meantime, half-a-world away, I had begun to research special needs adoption in China. Through a series of blogs and other posts, I began to hear the name “New Day Foster Home” popping up over and over in a rather condensed period of time. It caught my attention and eventually I spotted a link that led me to their website. What I found there changed our lives forever and would set us on a path that we were not yet aware. The moment I landed on the NDFH website, I knew something was very different. I did not just see a list of “special needs” faces that I felt sorry for but were someone else’s child to worry about… No, instead I saw smiling happy faces. 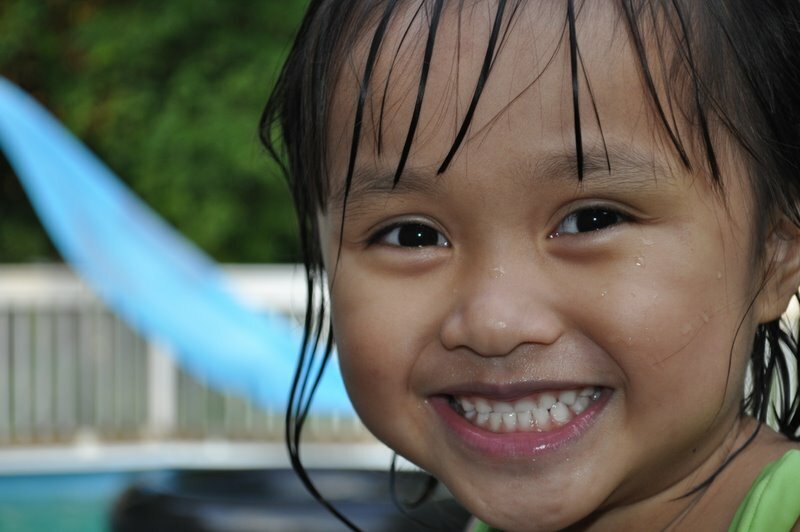 Short video clips of children learning, playing, giggling and having fun. Kids being KIDS! 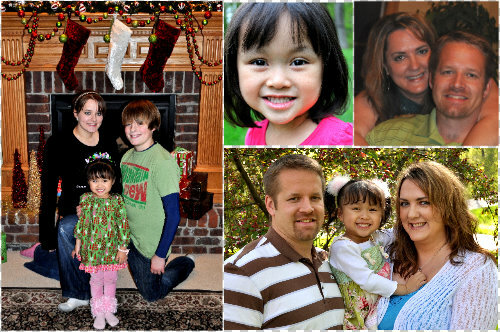 ~ Kids with a variety of medical needs who were also “fearfully and wonderfully made” by our Creator, and all of whom deserved a family of their own. It became blatantly obvious to me that New Day was a very special place and the children there were extremely blessed to be in such tender care. They did an amazing job of making these kids ‘more than a picture’ on their website and so very real. Day after day, I found myself back on their site, looking at the photos and watching the videos. It wasn’t long before my two older children were joining me. We were all so captivated by the kids and seeds were being planted in all of our hearts. The kids and I started picking out a new child each day, learning more about their needs and praying over them. It wasn’t long before I had signed up for their Newsletter and after a series of correspondences, was asked if I would like to join their prayer team. I took that honor very seriously and spent much time in prayer for these little ones. Of course we all had our ‘favorites’ but one baby girl always stood out to me. I couldn’t put my finger on why, but it was clear my heart was burdened for her. Her name at the time was “Elise” and I learned everything I could about her need and the surgery that was to come. On September 7, 2008 Khloe (then Elise) flew with Karen and Grace to MedArt in Hong Kong to begin a series of tests and meet with a team of various specialists before her surgery could take place. There are many details of ‘our story’ that I am leaving out here, but I will just say that God was working a miracle and he was allowing me to be a very small part of it half-a-world away. The day of her surgery, proved to be a sleepless night for me here in the States. I was on my knees, literally, for this special little girl who had stolen my heart. Thanks to the many sponsors who gave to New Day, Khloe received a surgery that was laced with God’s finger prints and one that gave her a new life and hope for a future. This little baby girl, whose pelvis was once separated and whose bladder was once on the outside of her body, was now “repaired” and with an outcome better than the surgeons had every seen in a difficult case like hers before! New Day kept a journal of her recovery at the time, and the progress truly is amazing. From the many prayers that were going up for her from around the world, to the top-notch care she received both at New Day and at MedArt, and the financial support of sponsors that helped to pay for her surgery and months of aftercare as she recovered… they ALL played an integral part in helping to make her the happy and healthy little girl she is today. Every single one of them are part of Khloe’s story, part of “our” story. What I didn’t know at that time, was this little girl named Elise that I was praying for, was soon to be my daughter Khloe! I was praying for my daughter, long before I knew she was mine! 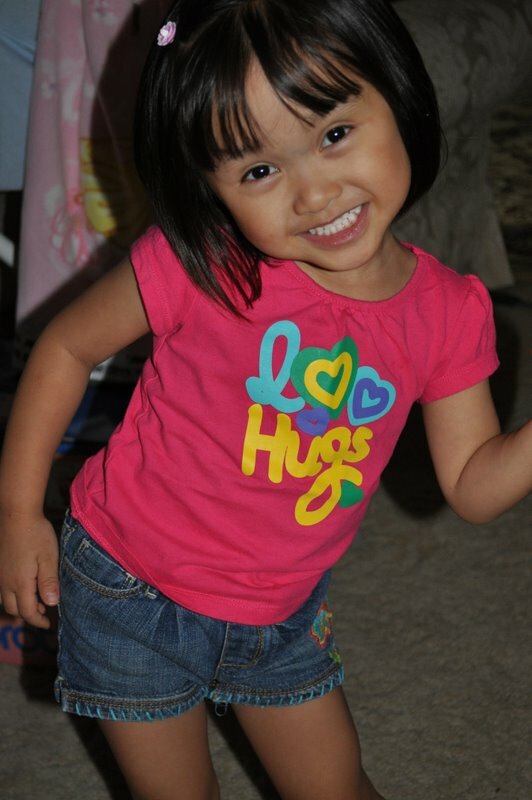 In June of 2009, we received our adoption approval to move forward with making this precious little girl our daughter. And in May of 2010, EXACTLY sixteen months ago today, we arrived in China and saw our sweet daughter’s face for the very first time in the flesh. We boarded that jet plane as a family of four, and returned as a very BLESSED family of FIVE! We are forever grateful to New Day and the life-saving, life-changing care they sought out and helped to provide for our daughter. Looking at Khloe today, you’d never know she was that same baby girl. She is a thriving, happy, energetic, well-adjusted, loving, caring, silly, ADORABLE little girl who is very excited to start her dance classes this month. DANCE classes, people! From a baby who could not walk due to her special medical need, to a little girl who not only walks, but runs, jumps, climbs and DANCES! Thank you to New Day and THANK YOU to all of her sponsors who played a HUGE part in making her the healthy little girl she is today. Our lives are forever blessed and changed for the better because of you! YEAH! this is great news that the goal was met…we left 1 year ago TODAY for china…on our way to emma lael…a great day for sure! As one of the families who is providing the “match” for this fundraiser, I want to thank everyone so much for their generousity and living out so beautifully the call to care for orphans. I am thankful we met our “goal”, but if you want to give and haven't done so yet, we will still match whatever comes in before the chip-in ends tomorrow, even that which is above the $5000. I don't know our max…push us! 🙂 And dear sweet Paige, rest in your Father's arms.